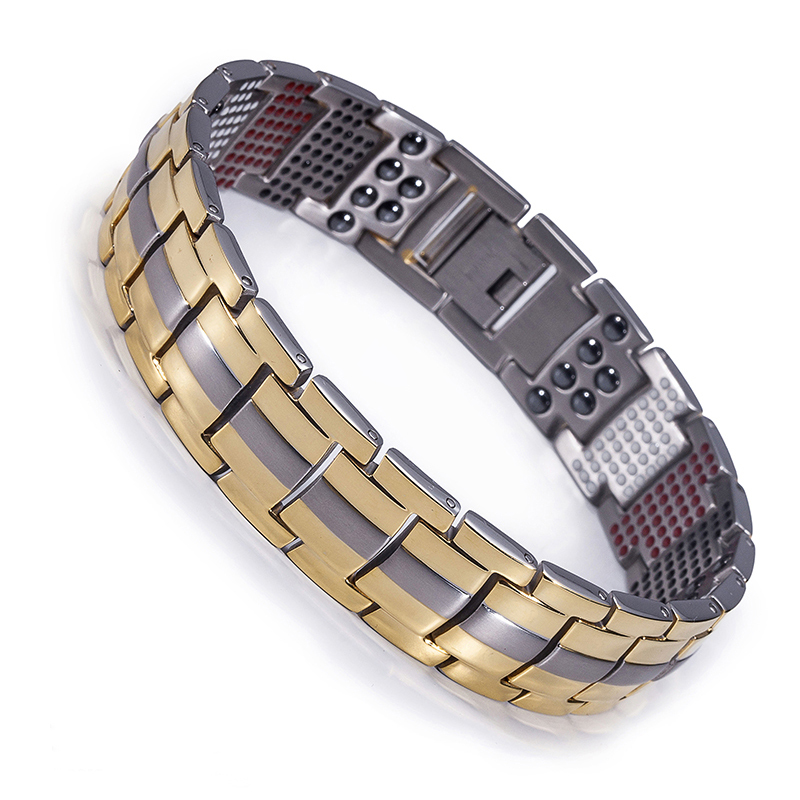 Titanium Unisex Magnetic Power Bracelet. New tech 4-in-1 Energy: Magnets + Negative Ions + Far Infrared Rays (FIR) + Germanium. Model BR-T-111. Silver/Gold color. SPECIAL: Create your own jewelry collection! 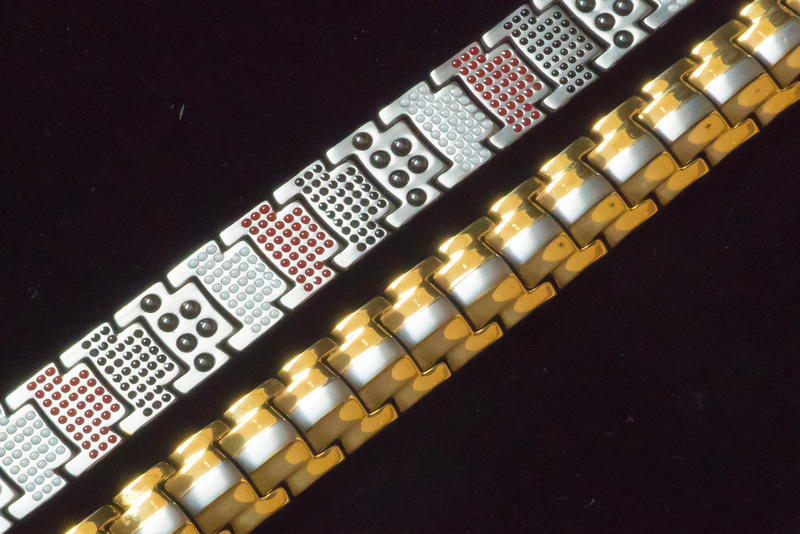 Buy any 3 bracelets and receive 4th bracelet absolutely FREE. Buy 5 bracelets and get 2 FREE. (Indicate your preference with a note at checkout or we’ll choose one in the similar style and price). 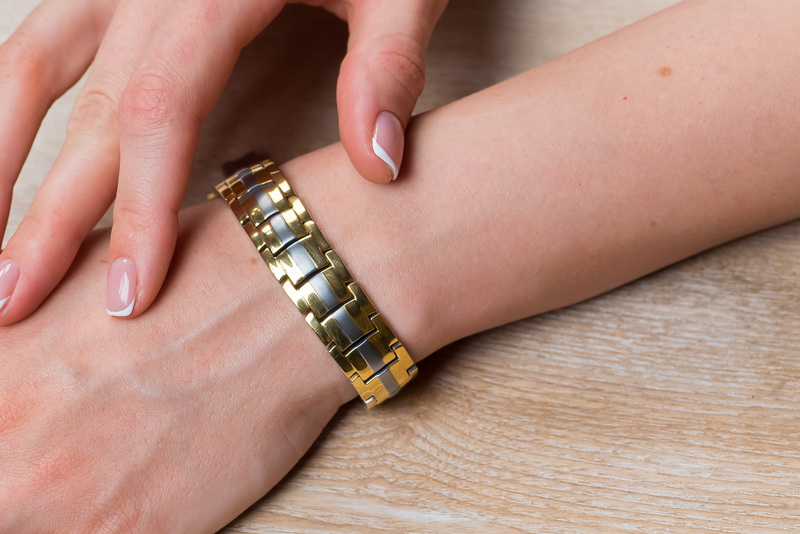 Great jewelry and wellness device! This bracelet is a great mix of elegance and strength and makes a great gift for that special person in your life. 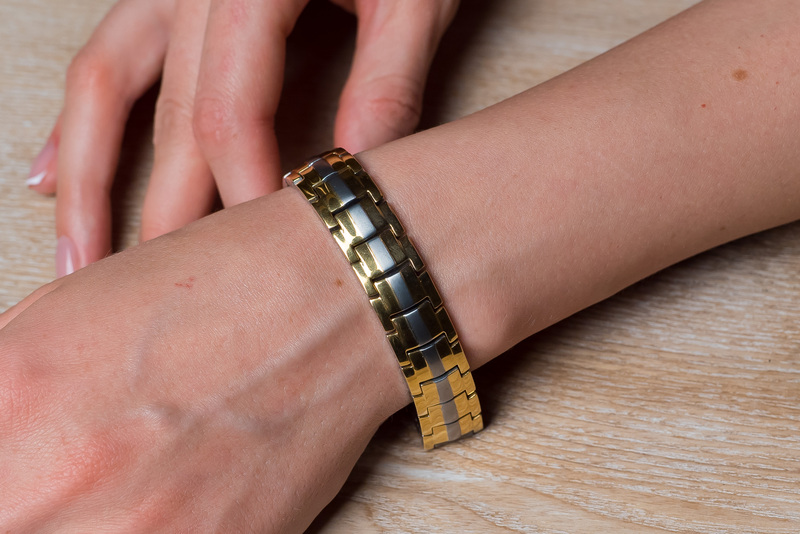 The links have built-in negative ions, far infrared rays (FIR), germanium powder, and 3000 milligauss magnets. 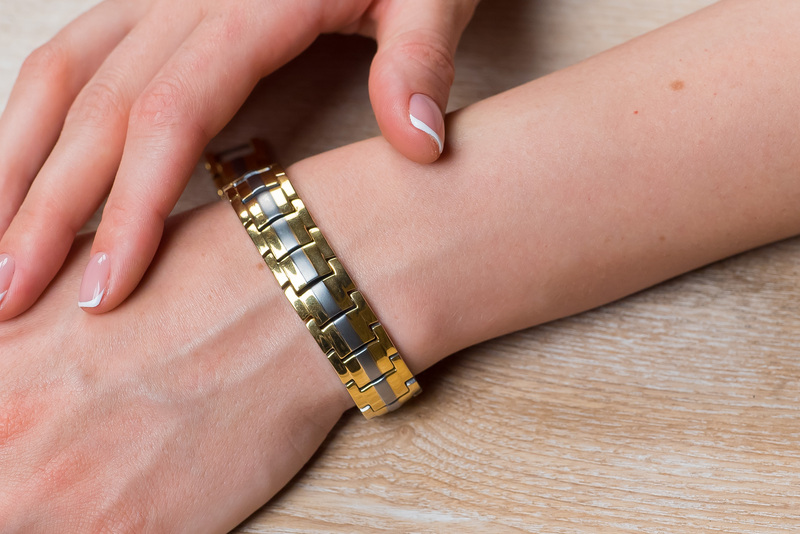 Strong but lighter than steel, titanium is becoming a popular choice for jewelry with a nice finish.